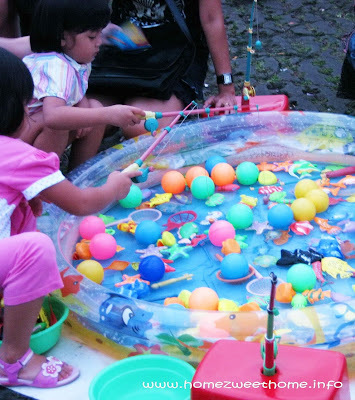 Girls also love fishing… but a different kind of fishing; like this game. The girls were catching floating balls. The cute one looked so serious. Be patient, you’ll get the ball! I like this fishing game. It will teach good emotions and characters to your kids. cuteeee kids having fun...happy MYM! My kids had a small one of those. So much fun for them. I remember my little had this kind of game before but it was smaller. Really nice activity for kids..